Start the year off with a visual palate cleanser in the form of uncluttered interior design that's soothing for the senses. 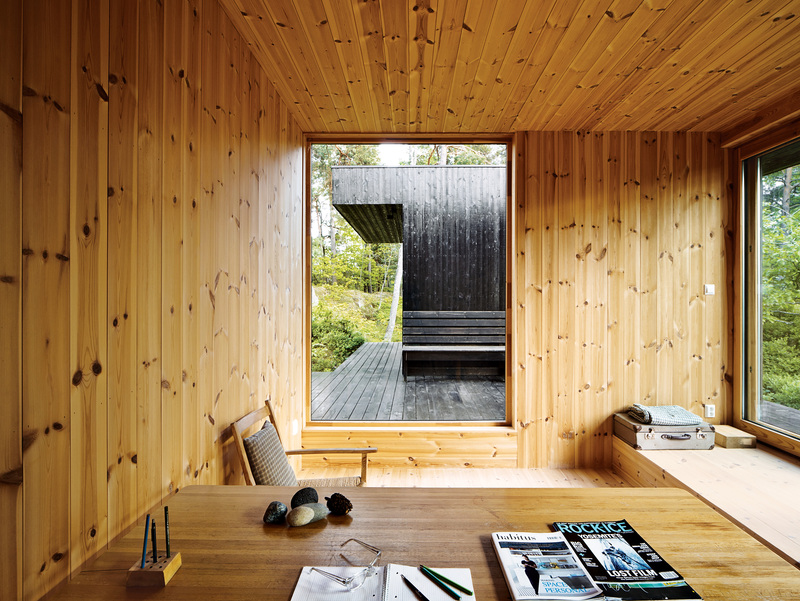 An hour’s drive from bustling Oslo, simplicity and respect for nature govern the design of this summer home. Originally built in the 1960s by the Norwegian artist Irma Salo Jæger, the 430-square-foot cabin sat unoccupied and in partial disrepair for years before its current owner purchased it and decided to expand. The 1950s desk in the office is from the original house; the chair is by Aksel, a Norwegian furniture company. This floating Copenhagen home keeps embellishment minimal, but impactful. The bathroom's epoxy floor transitions from whitish gray to submarine yellow. The sink and tub are by Galassia, and the faucets are by Vola. The 750-square-foot extension of a Norwegian country house boasts dramatic transitions between old and new spaces—like the terrazzo steps that lead to the kitchen—and views of the Oslo fjord. The kitchen in this charming prefab house outside of Stockholm is all about modernist classics. A Splügen Bräu pendant lamps for Flos hang over a Super-Elliptical table by Piet Hein and Bruno Mathsson for Fritz Hansen. In the living room of a Swedish vacation home owned by two modern furniture dealers, a sofa by Vico Magistretti sits next to a plywood armchair by Gerald Summers. The coffee table is by Enzo Mari; the Cesta lantern is by Miguel Milá for Santa & Cole. “It’s too expected for us to put Hans Wegner here,” the resident explains. Photo by Ivan Brodey. Image courtesy of Ivan Brodey .